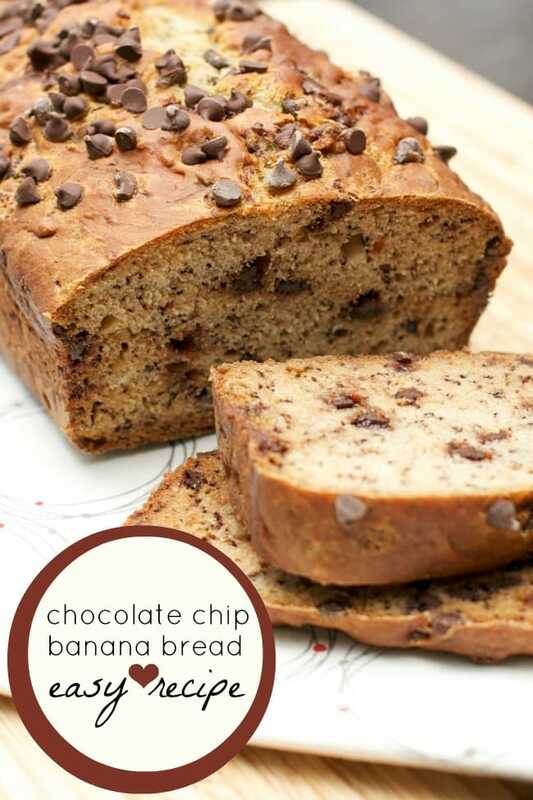 Are you looking for an easy chocolate chip banana bread recipe? Well, you’ve come to the right place!! I have a super delicious recipe for you to check out that will make your mouth water. Anything with chocolate and bananas is alright by me. Chocolate chip banana bread works for both breakfast and dessert – so you can really get a lot of use out this one. My children always look for ways to get their hands dirty and this is one thing that we all do as a family. Grease your loaf pan with butter or spray. Then line the bottom with some parchment paper. Combine the bananas (with all the lumps mushed out), vanilla yogurt, maple syrup, vanilla, sugar, and grape seed oil (vegetable oil can be used) with a mixer. Blend until lumps are gone. Sift the flour, salt, baking soda, cinnamon. Stir into the “wet mixture” until well combined. Sprinkle some additional chocolate chips on top. Bake for 45-50 minutes or until inserted toothpick comes out clean. How Long Will This Chocolate Chip Banana Bread Last? Properly stored, freshly baked banana bread will last for about 1 to 2 days at normal room temperature. How long does banana bread last in the fridge? Freshly baked banana bread will keep well for about 1 week in the fridge when properly stored. What Else Can I Add Into My Banana Bread? Do I Need To Refrigerate My Treat? There is no need to refrigerate the Banana Bread. Just keep it in an airtight container and in a cool place. Stir into the "wet mixture" until well combined. Just made this… it’s a big hit and really is soooo easy!